I have three kids and I need a new (well, almost new) car. I’m tossing between the Holden ZB Commodore (in either Calais or VXR spec), the Holden Equinox (in LTZ-V spec) and the Skoda Superb. What do you think would serve best? All around the $30,000 mark, a year old and around the 10,000-20,000km mark. Not too fussed about fuel economy, but want safety, good power, and lots of rear seat (especially leg) room. The Equinox hasn’t sold well for Holden – and for mine, it already feels a bit dated. Plenty of safety kit, though rear seat room is nothing like what you’ll get in the other cars. The Commodore wagon is a reasonable choice, too, and buying second-hand takes the sting out of the initial high pricing. However, there wouldn’t be too many around to choose from given the lack of sales volume, so you may pay a premium to find the one you want. The Calais will ride more comfortably, and the VXR is probably the better looking of the two. My money is on your third pick, though. 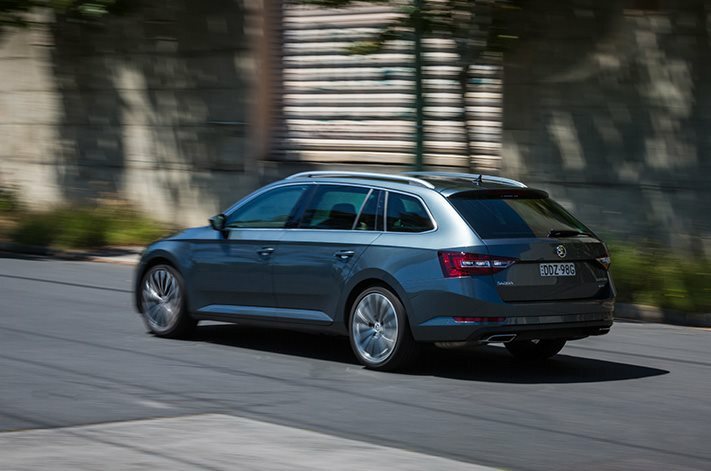 The Superb wagon is absolutely enormous in the second row, and still has plenty of cargo space. The 162 TSI version really gets along as well. Again, not a heap of cars to choose from, but I’d hunt far and wide for a low km example in the spec you want. It’s a handsome rig that handles and goes just fine. As a wildcard, have you considered the Kia Carnival? Don’t laugh – it’s a great family rig with a tonne of room, it looks pretty damn good and you get a lot of gear in the higher spec versions. You also asked about extended warranties – none of the cars was subject to major recalls in the period you mention, and you still have a good year left under the original warranty. You should also be getting a warranty if you’re buying from a dealer second-hand.